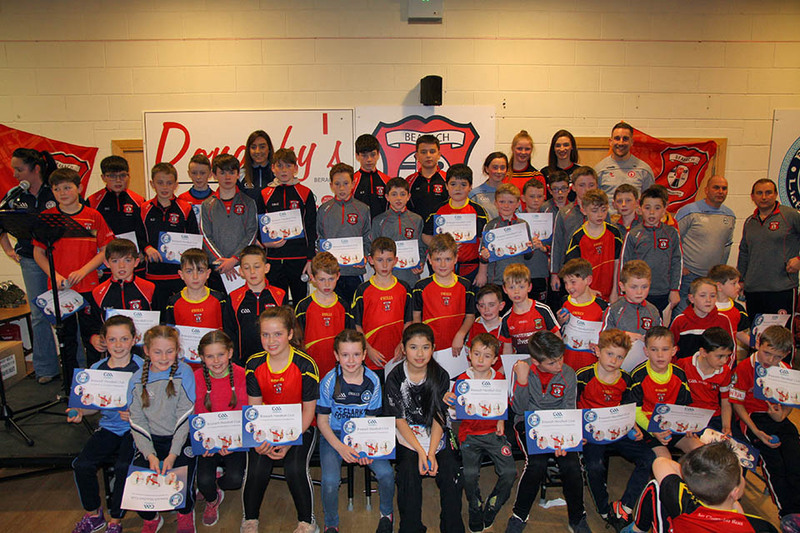 Our Youth Presentation Night took place on Friday 16th November. 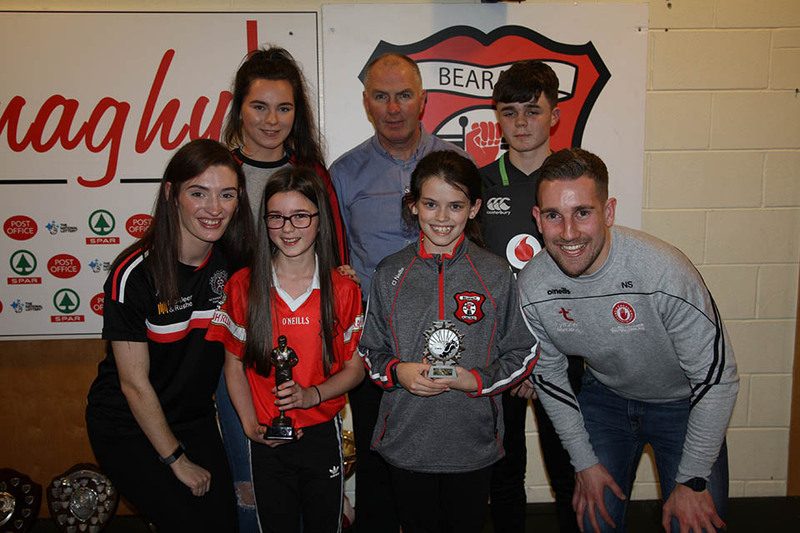 The evening was very well attended as we celebrated the achievements and hard work from all our youth players in 2018. 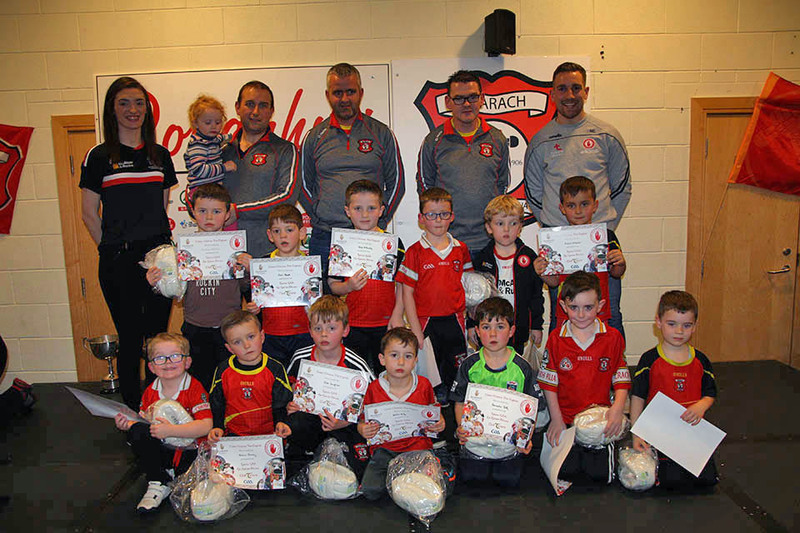 We thank Tyrone Star’s Niall Sludden and Joanne Barrett for coming to St.Mary’s Park and presenting our boys and girls with their certificates and medals. 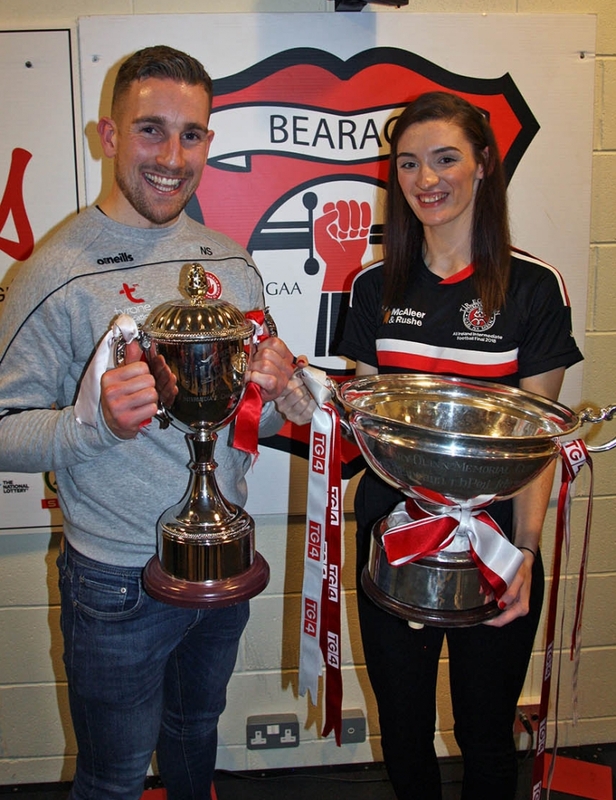 To the delight of many Joanne brought the TG4 Ulster Cup and The All-Ireland Mary Quinn Memorial Cup along! 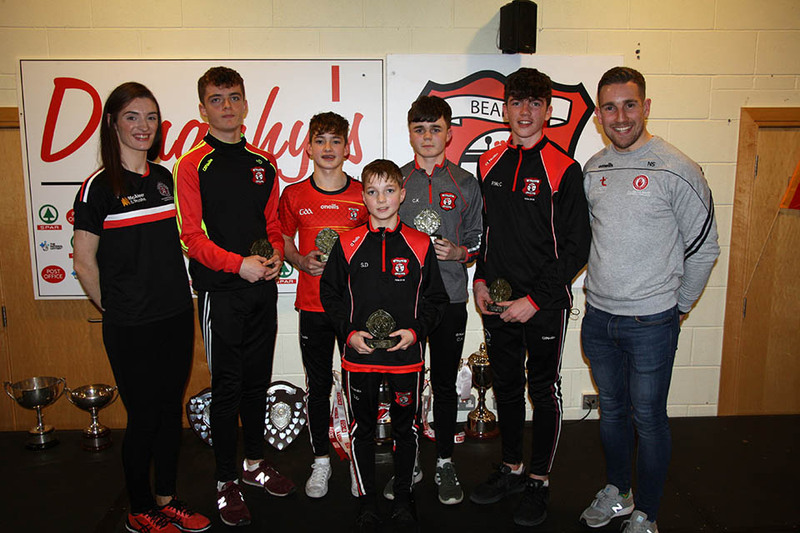 The highlight of the night was the presentation of medals to our Under 14 Boys team with their County League, Championship and Féile medals. 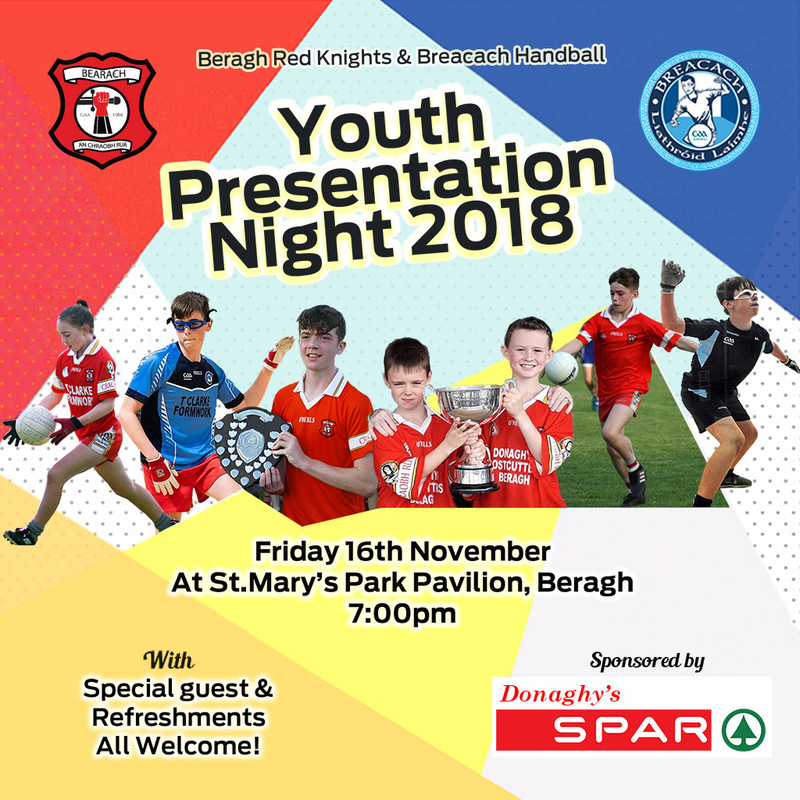 The Club would like to thank Leo Donaghy’s, Spar Beragh for sponsoring the evening and providing our boys and girls with refreshments. 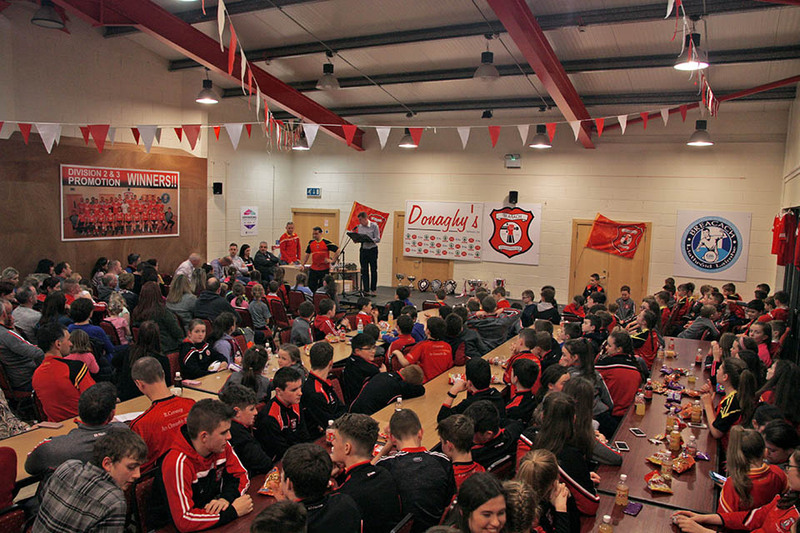 Thanks to all those parents, coaches and volunteers who helped serving teas and organisation of the night. 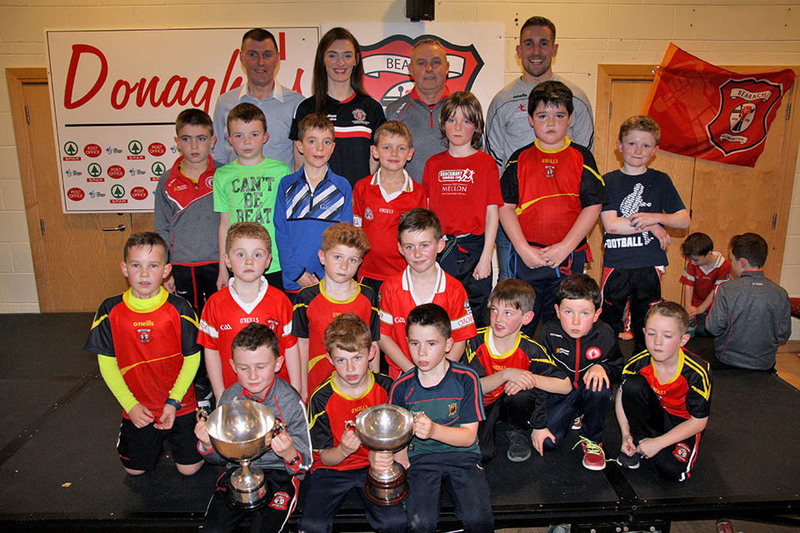 Paddy Kelly, Pol Clarke and Stephen Curran U8/9/10 Boys. Michelle Warren U12, 14, 15 AND 16 Girls. 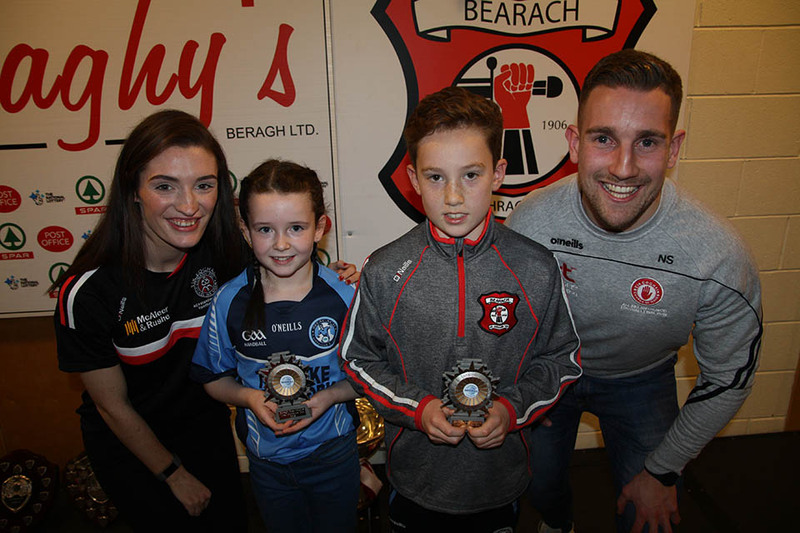 Breacach Handball Most Improved Girl, Kayleigh McCoole andMost Improved Boy, Eoghan Mullan with Tyrone Stars Niall Sludden and Joanne Barrett. 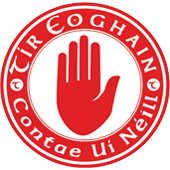 Those who had Ulster and All-Ireland Success at Handball. 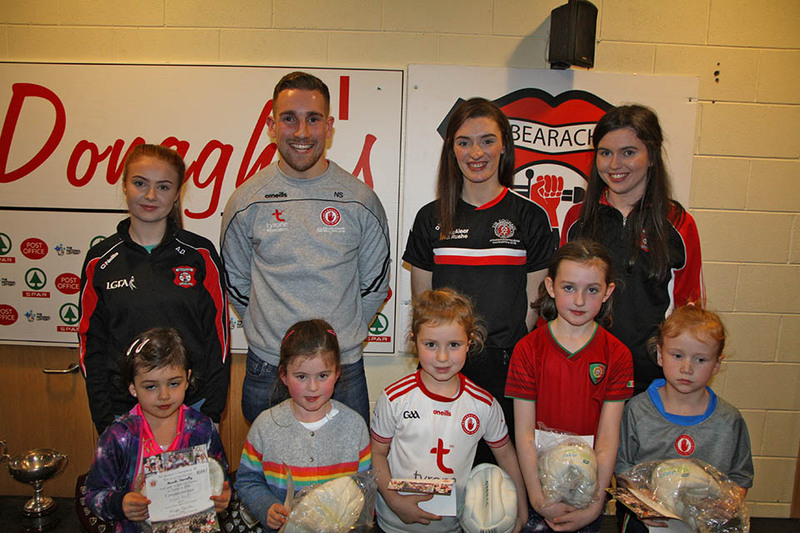 Our Breacach Handballers receive their certificates and a handball each from Niall Sludden and Joanne Barrett. 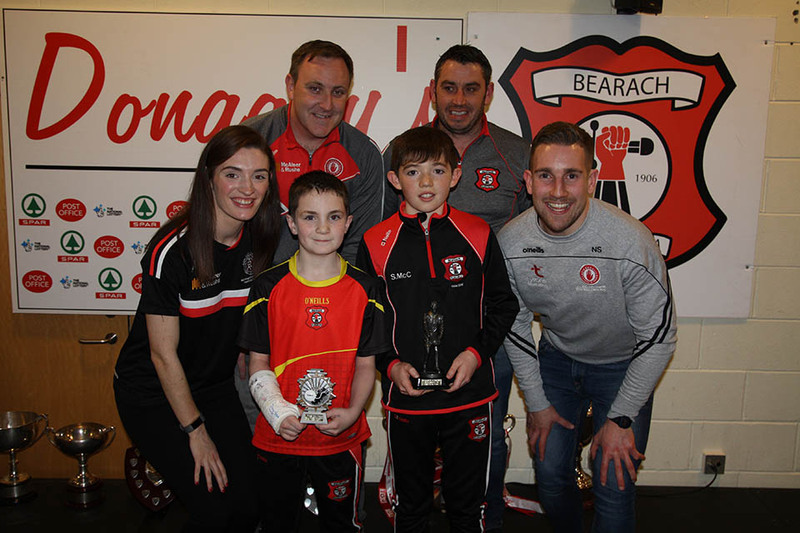 Under 12 Boys Coaches – Gerard Loughran, Conal Quinn. 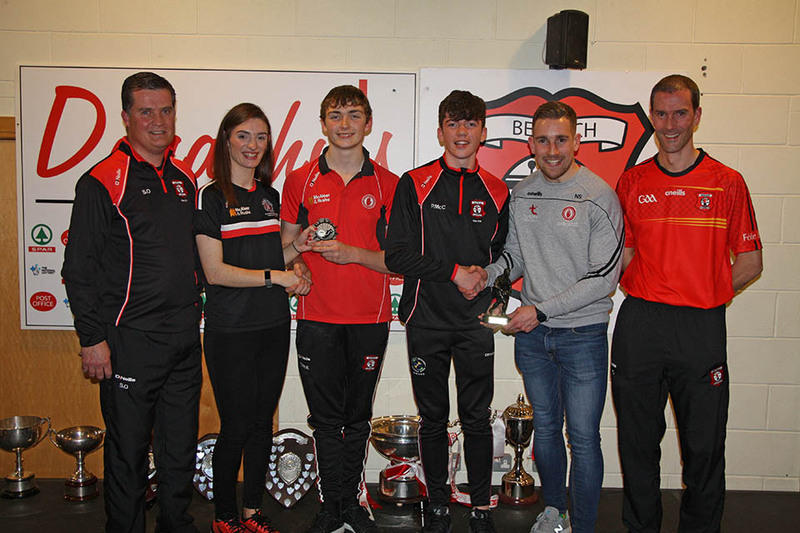 Under 14 Boys Coaches – Sean Owens, Barry Conroy. 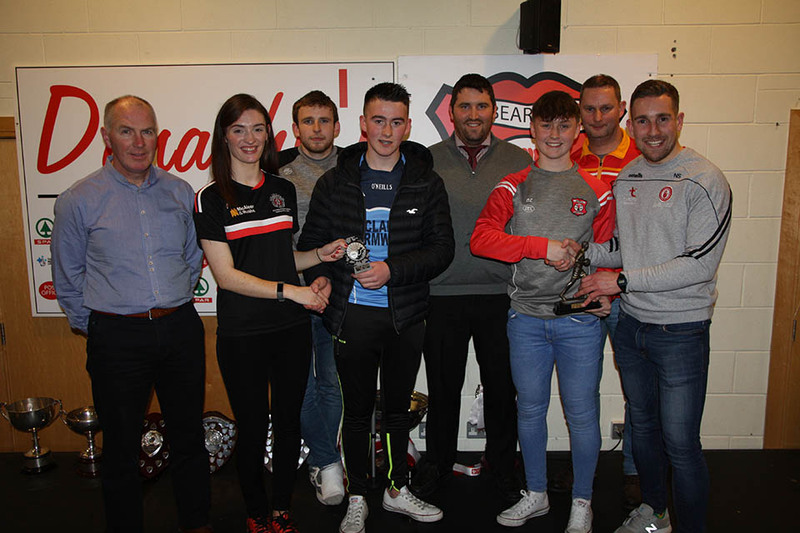 Under 16 Boys Coaches – Mark Franey, Barry Grimes and Cathal Owens. 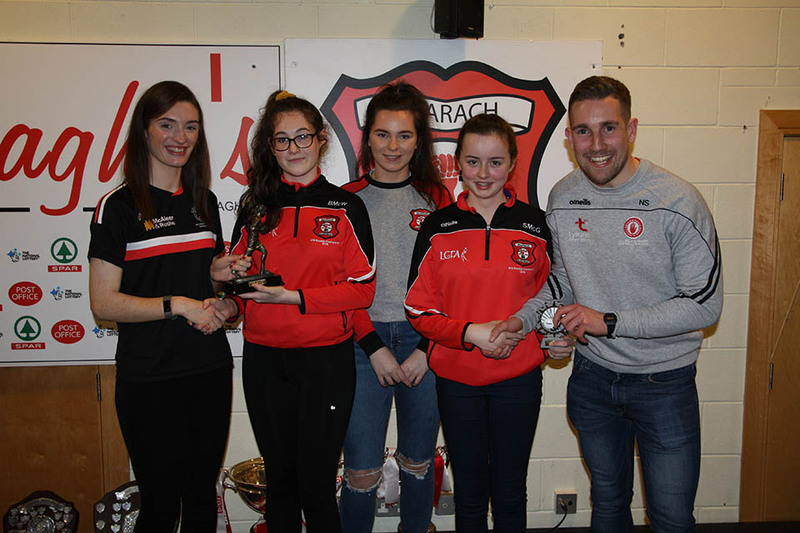 Under 16 Girls Coaches – Chrissy Devlin, Oisin Donnelly and Tina Grimes. 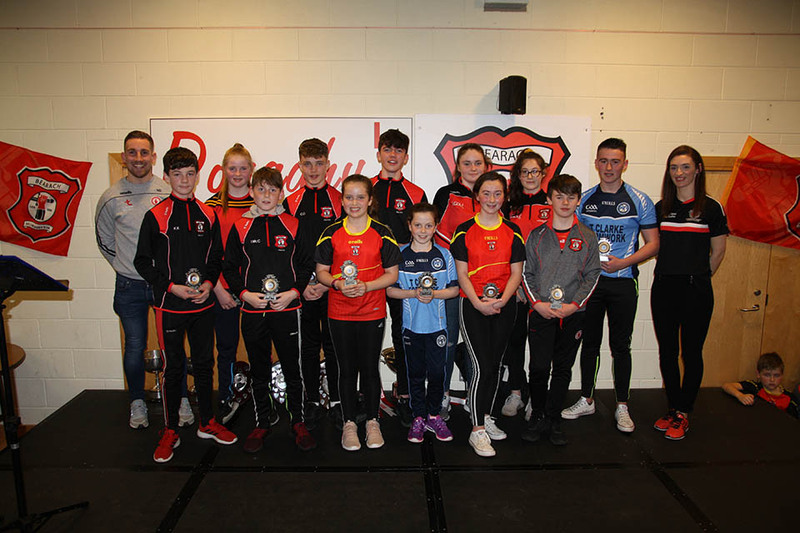 Individual Awards to players involved in County Teams: Jonathan Owens, Fiachra Donnelly, Seanan Donnelly on behalf of his sister Saoirse Donnelly, Cathaoir Kelly and Patrick McCann. 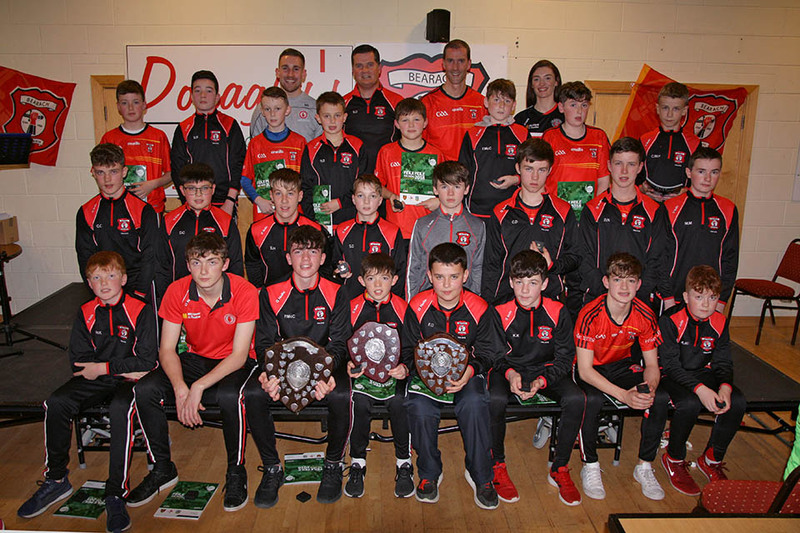 U14 Boys Team who completed a triple in 2018, winning the Grade 3 League, Championship & Féile. They were also All-Ireland Féile Runners up. 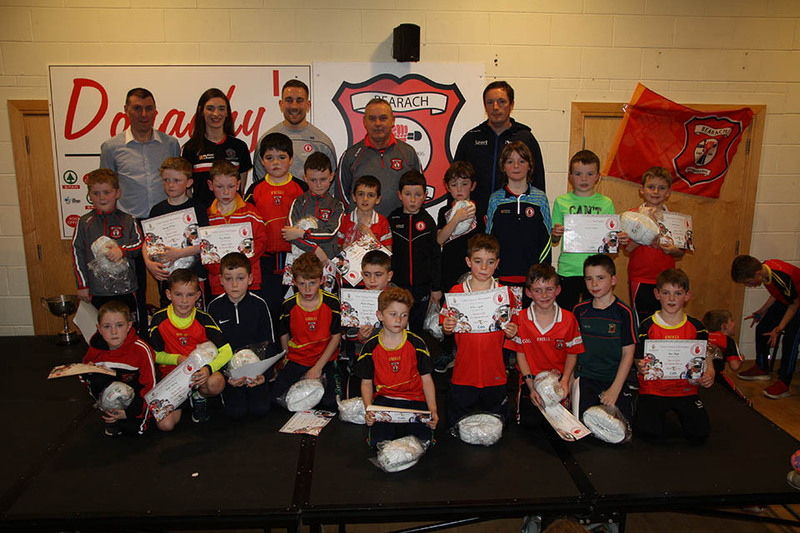 Our U6 to U10 boys and Girls were presented with their Go Games certificates and a football each. U6 Girls Coaches: Aisling McCann, Aoife Donnelly, Aoife Treacy and Sarah Louise Franey. 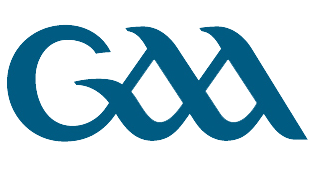 U6 Boys Coaches: Paddy Kelly, Dominic Donnelly, Niall Farley, Adrian Harley, Brian McCartan. U-8 Boys Coaches: Marty Colton, Ryan Porter, and Gerard Treacy. 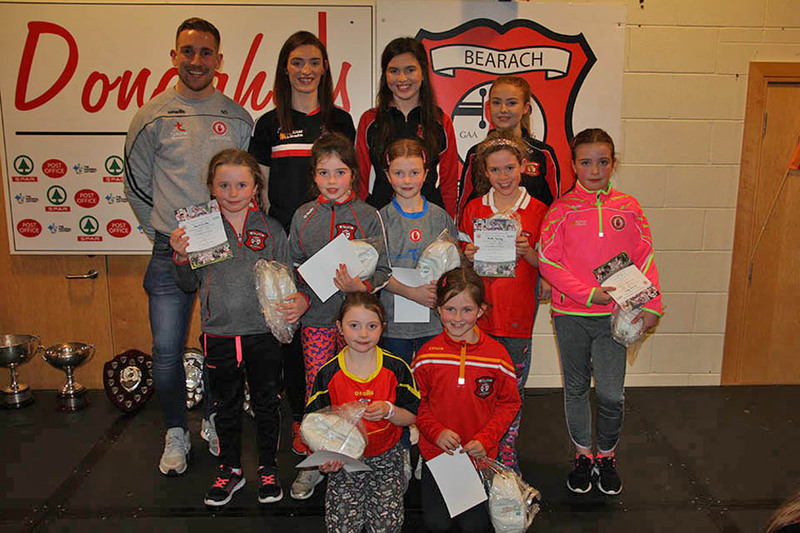 U-10s Girls Coaches: Eilish O’Neill, Michael Montague, Chloe McAlinney and Michael McCaughey. 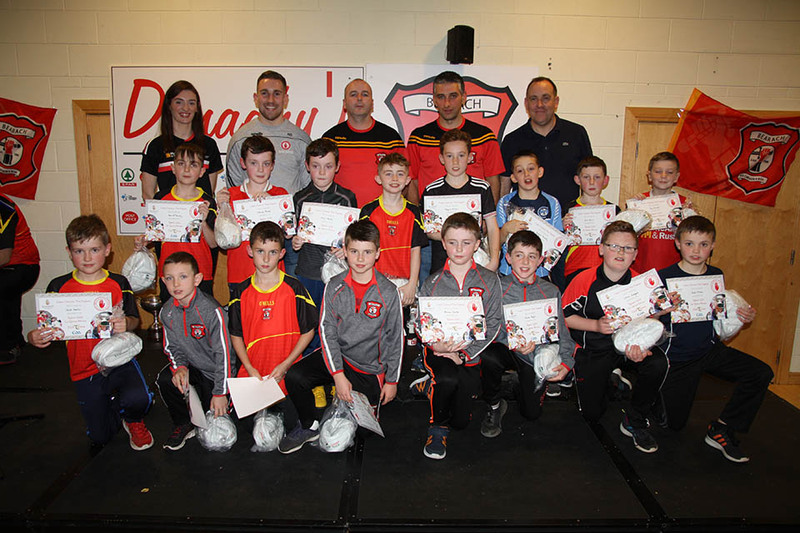 U10 Boys Coaches: Enda Donnelly and Martin Kelly. 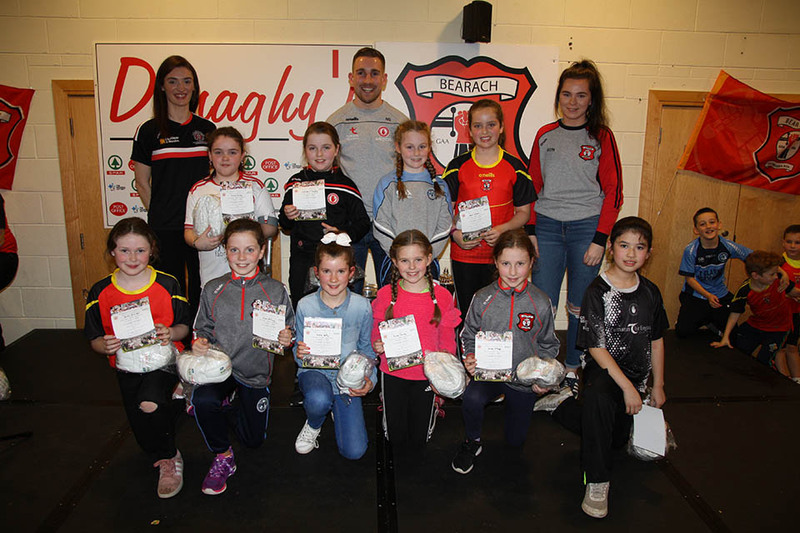 U-12s Girls Coaches: Eilish O’Neill, Chloe McAlinney and Cathaoir Kelly. U12 Boys Coaches: Gerard Loughran and Conall Quinn. 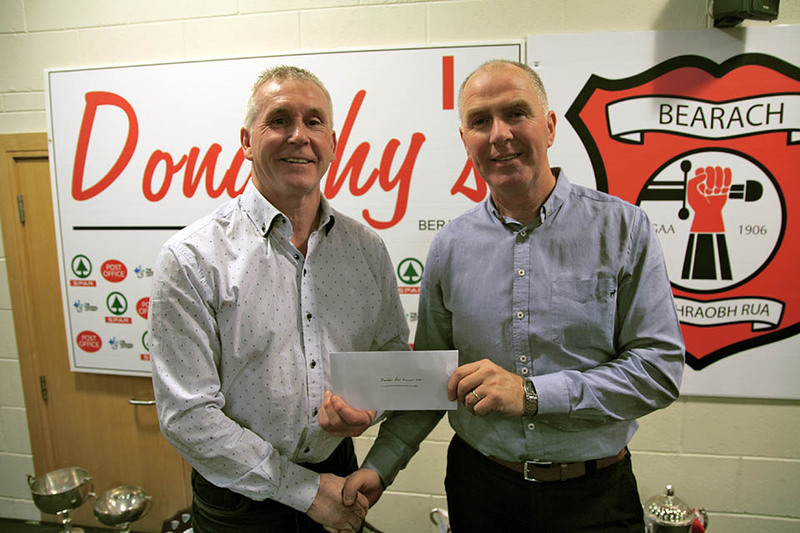 Club Chairman, Seamus Boyle receives sponsorship from Leo Donaghy from Spar Beragh who kindly sponsored our Youth Presentation Night and provided the boys and girls with refreshments on the night.